Get you perfect pour-over coffee without any residue or bitters. The Three Cup Classic delivers the purest flavor and aroma. This beautiful product is simple to use and also lets you cover and refrigerate your coffee for reheating without losing its flavor. 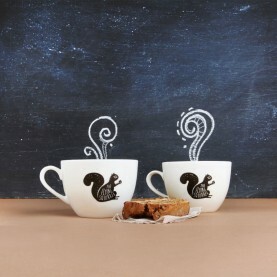 Get your perfect pot of pour-over with The Flying Squirrel’s range of artisan coffee. This equipment ships with a 50 gms trial pack of Aromatique. Brew to draw out perfectly all the finer nuances of this single estate mild roasted arabica. 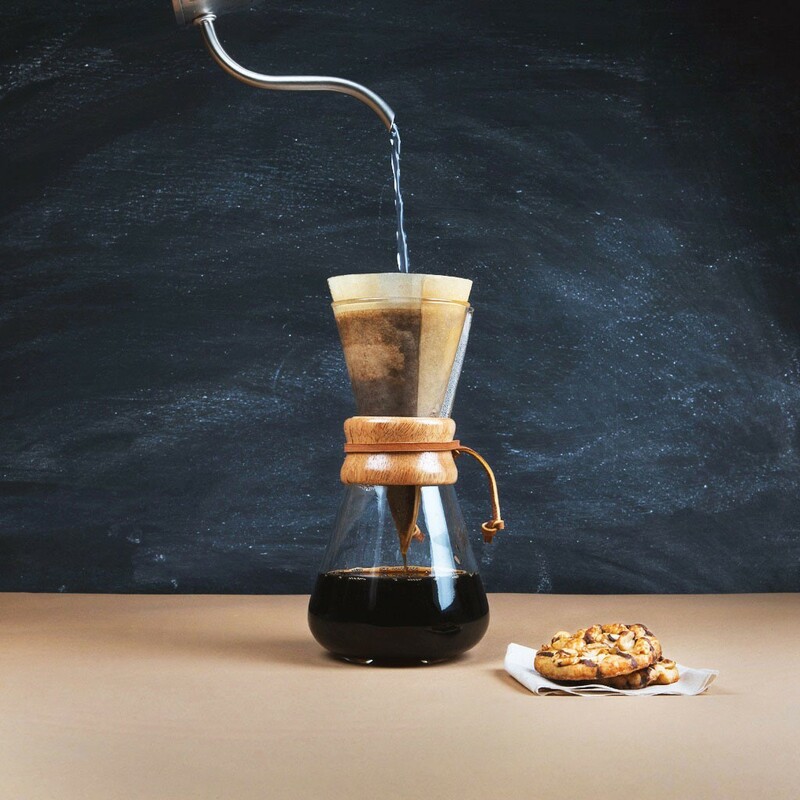 The Three Cup Classic Chemex is built of non-porous Borosilicate glass. 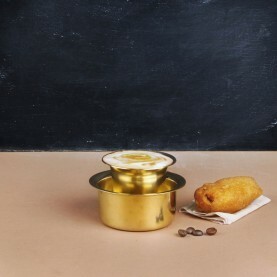 This means it will not absorb odour or chemical residues.The pour-over allows coffee to be covered and refrigerated for reheating without losing flavour. It is simple and easy to use yet has a timeless and elegant design. It comes with an elegant, polished wood collar and a leather tie. The Three Cup Classic Series used along with the scientifically designed, patented CHEMEX® Bonded Filters, will guarantee a perfect cup of coffee without and sediments or bitter elements in your pour-over.